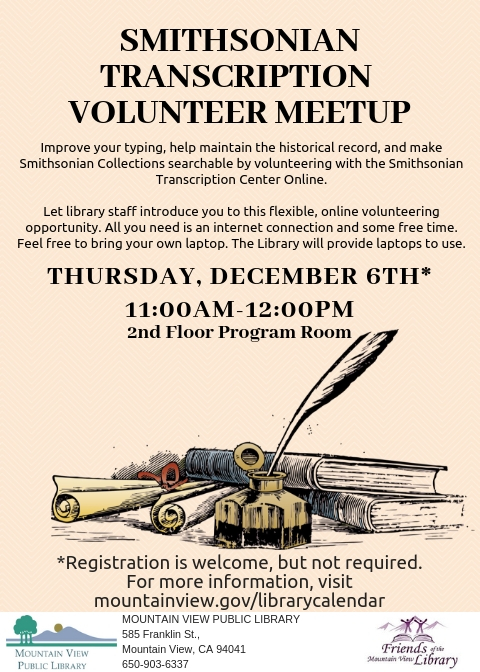 Improve your typing, help maintain the historical record, and make Smithsonian Collections searchable by volunteering with the Smithsonian Transcription Center Online. Let library staff introduce you to this flexible, online volunteering opportunity. All you need is an internet connection and some free time. Feel free to bring your own laptop. The Library will provide computers to use. Registration is welcome, but not required.